fMI - FAMILY miSSIONS IN'TL 1306 cULVER pL. May we invite you to embark on a journey of discovery? These two powerful Bible verses tell us that each of us has a treasure within and that within Jesus Christ are hidden divine treasures. So we need to study God��s Word to uncover these treasures. We all want to change the world but do you know that in order to do that we must first discover the way to change ourselves. Thank you for visiting us here at the institute, Tagaytay Christian Training Center. Can you imagine finding the reason and purpose for which you are here upon this earth? Could it be that you have an appointment with history, a destiny to fulfill? The Tagaytay Christian Training Center is your home for exploration and the training of who you really are in-Christ Jesus. We have three different formats currently to provide training to students. First, is our resident on-site Tagaytay Christian Training and Equipping Center located on the Tagaytay Ridge overlooking the Taal Lake and Volcano (in the heart of the Asia-Pacific Region). The resident program begins in June and is taught in English for one school year. Connected to that is the 'Outreach DTS" phase at the end. 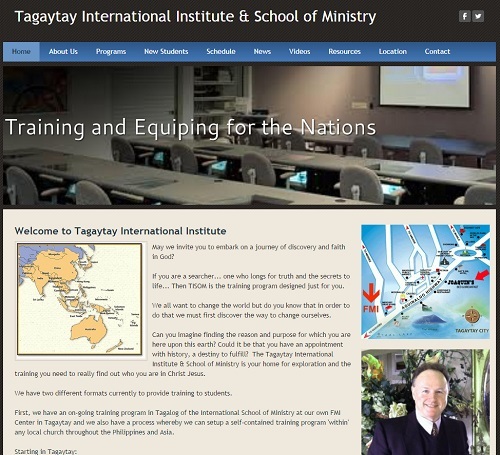 In addition we have an on-going mini-program in Tagalog of the Intl School of Ministry. Thirdly, is our International Institute which offers specialized seminars and workshops in the area of Livelihood, Nutrition, New-Mother & Baby Care, Cultural classes and much more. 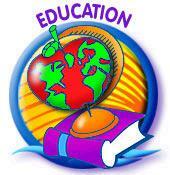 And last, is our 'online' distance education schools that offer several different fields of study. We look forward to talking more with you about your needs. Archive Alert! We have been asked if we can handle more students in the new villages where we recently started outreaches. Just today a Principal called our workers in to ask if they could take over 11 sections of religious training for their students! WE NEED VOLUNTEERS ON THE MISSION FIELD..
Are you called to the Mission Field? Do you have knowledge and experience on the below-mentioned areas? Do you want to share your God-given talents with the people of Mindoro for the glory of God? If so, WE NEED SOMEONE LIKE YOU! 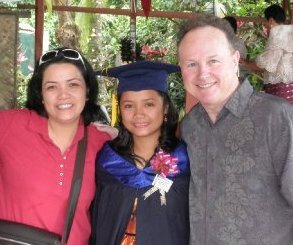 Contact us at familymissions@csica.com for information on our short term & long term mission trips to the Philippines. Tell us about yourself and why you want to be part of our mission to the Island of Mindoro. And also tell us what you believe God is calling you to do and accomplish on the mission trip. GOD BLESS YOU! Expansion of early childhood development (ECD) activities, including low-cost family and community-based interventions Two significant laws were passed on ECD in the last decade. 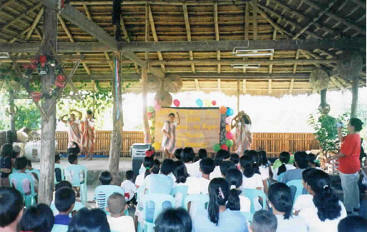 Republic Act 6972 (1990) called for the establishment of a daycare center in every barangay. Republic Act 8980 (2000) mandated the creation of a national system for early childhood care and development. There has been an increase in the number of daycare centers in the country. Data on access of children to ECD services vary. The Department of Social Welfare and Development claimed participation rate of 56% in 1999. Other surveys reported that less than 20% of preschool children have such access. Achievement of primary education by at least 80% of primary school-age children Net primary school enrolment ratio increased from 85% in 1991 to 97% in 2000. The country is very near reaching the goal. However, cohort survival rate remains low at approximately 70% in 2000. The quality of education remains poor if achievement rates are used as measurement. Reduction of current disparities between boys and girls. Disparity in participation and achievement rates are minimal. Reduction of adult illteracy rate to at least half of its 1990 rate, with special emphasis on female literacy. The Female Functional Literacy program has helped decrease the number of illiterate women. Women = 95.4% to 96.0% Illiteracy rates declined at an average of only 13% of the 1994 base figures.